David Ryder/Getty ImagesAs the world’s richest person, Amazon CEO Jeff Bezos could transform how philanthropy works. Amazon CEO Jeff Bezos is now far ahead Bill Gates as the world’s richest person. 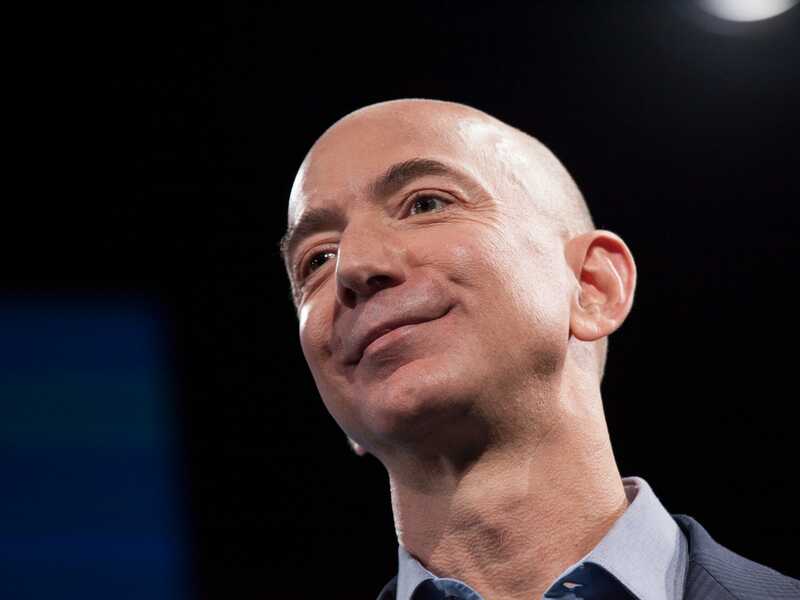 With a net worth of $US105 billion, Bezos is likely to retain the title for the foreseeable future, and it could upend how billionaires view charity. Unlike Bill Gates, who has focused on long-term projects, Bezos could focus more on the short-term. Jeff Bezos was just named the top billionaire on the Forbes annual list, with a net worth of $US112 billion. This makes him far and away the world’s richest person. Bezos displaced Microsoft cofounder Bill Gates, whose net worth is $US90 billion, according to Forbes. The new distinction could fuel Bezos’s interest in furthering human progress through for-profit companies – efforts that could shift how the world’s wealthiest think about philanthropy. “I think his activities to date suggest he looks at some of his business investments as opportunities to advance social change,” Jane Wales, CEO of the Global Philanthropy Forum, previously told Business Insider. Amazon’s agreement to buy Whole Foods, announced in June of 2017, initially sent the online retailer’s stock skyrocketing. It also increased Bezos’ net worth by $US1.8 billion, to $US84.6 billion. At the time, that was $US5 billion behind Gates. His net worth briefly eclipsed Gates’ in July of that year, after the second-quarter earnings were released. Wales says Bezos’ business plays offer a window into how he could cement his status as one of the most influential players in the philanthropy world, independent of the Bezos Family Foundation that’s run by his parents. In fact, Bezos may already be looking to take on more projects. Recently, he asked his nearly 300,000 Twitter followers for ways to generate a lasting impact with quick, decisive action. That approach could encourage more short-term solutions to problems typically thought of as systemic, Wales said, and that could be a good thing. She pointed to the ongoing migrant crisis as one example. Other billionaires, on the other hand, are sticking to big-picture work. Bill and Melinda Gates are trying to end polio once and for all, and Mark Zuckerberg and Priscilla Chan are trying to eradicate disease and improve education. But Bezos is new to the philanthropy world – he isn’t involved with his parents’ foundation – and people just starting out in the field often take a year or two to get the lay of the land and form a strategy. Judging by Bezos’ past business moves, his style of philanthropy might involve private investments in startups looking to do social good, or acquisitions of other companies. Not everyone in the philanthropy community is optimistic about Bezos’ influence, however. Larry Brilliant, the acting chairman of the Skoll Global Threats Fund, criticised Bezos’ crowdsourcing approach. “The denominator of ideas you will get in, the vast majority of ideas which are not good, not viable, will flood this process,” Brilliant told The New York Times in June. And in an open letter to Bezos in Forbes, the philanthropy adviser Jake Hayman took issue with the notion that focusing on short-term goals can yield lasting impact. Bezos is not participating in The Giving Pledge, a pact among 16 billionaires (including Warren Buffett and Zuckerberg) to give away at least half of their fortunes before they die. But Wales contends that Bezos still can send a strong signal to wealthy Silicon Valley types that philanthropy matters.